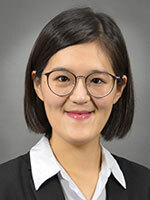 Su joined the College of Media in 2018 after spending 2 years at the Department of Communication at the University of Utah as an Assistant Professor, where she was also a faculty affiliate at the Global Change and Sustainability Center. Su's research focuses on examining the interplay between media and society, particularly how social media and new technologies influence human communication and social behaviors in the context of scientific and health topics. Her research has appeared on New Media & Society, Information, Communication & Society, Journalism & Mass Communication Quarterly, Science Communication, and Science and Public Policy among others. She is enthusiastic about engaging in a range of interdisciplinary and collaborative research projects on science and health issues. She also enjoys collaborating with students on research and welcome students to contact her if they are interested in learning more about her research or working with her on research projects. Li, N. & Su, L. Y.-F. (forthcoming). Message framing and climate change communication: A meta-analytical review. Journal of Applied Communications.